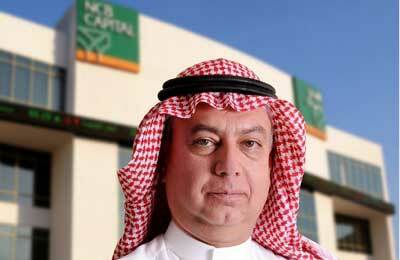 NCB Capital has become the first Saudi company to launch non-Saudi registered funds under the Undertakings for Collective Investment in Transferable Securities (UCITS) platform registered in Ireland. Saudi Arabia’s largest wealth manager is also launching the first two funds on this new platform - the NCB Capital Saudi Arabian Equity Fund and the NCB Capital GCC Equity Fund. The objective of the two funds is to generate long-term capital growth by investing in listed companies in the Saudi Arabian and GCC markets, in line with Shariah guidelines. NCB Capital will use a mix of strategies covering mid-cap, blue chip, income-generating stocks and a diversified range of selected sectors with solid growth credentials. All strategies will be in line with the UCITS regulations. These two Shariah-compliant funds will be marketed internationally in conjunction with asset management firm Amundi with a focus on institutional investors in Europe and Asia. The firm already manages the world’s largest Shariah compliant family of funds and the world’s largest Shariah compliant fund. “NCB Capital believes that these new funds will be particularly attractive to investors in Europe and Asia, who have a traditional preference for the regulated structures and strong risk framework that UCITS offers.